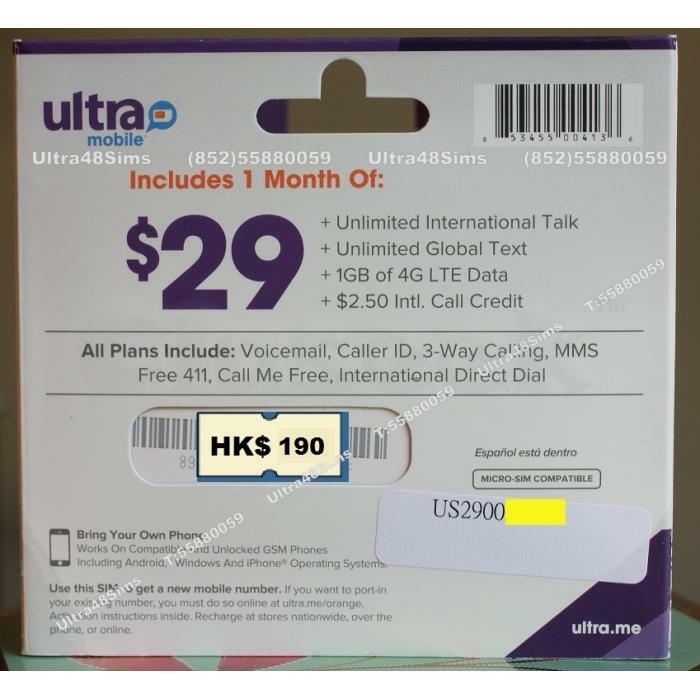 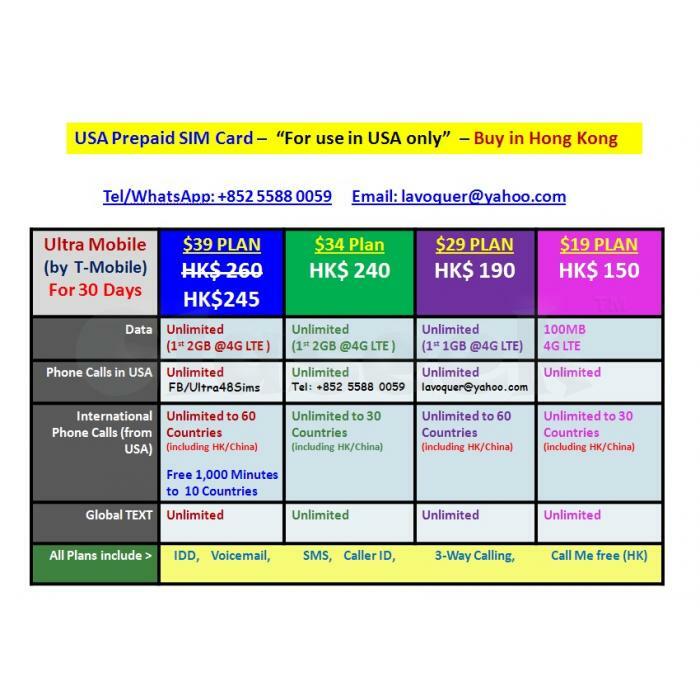 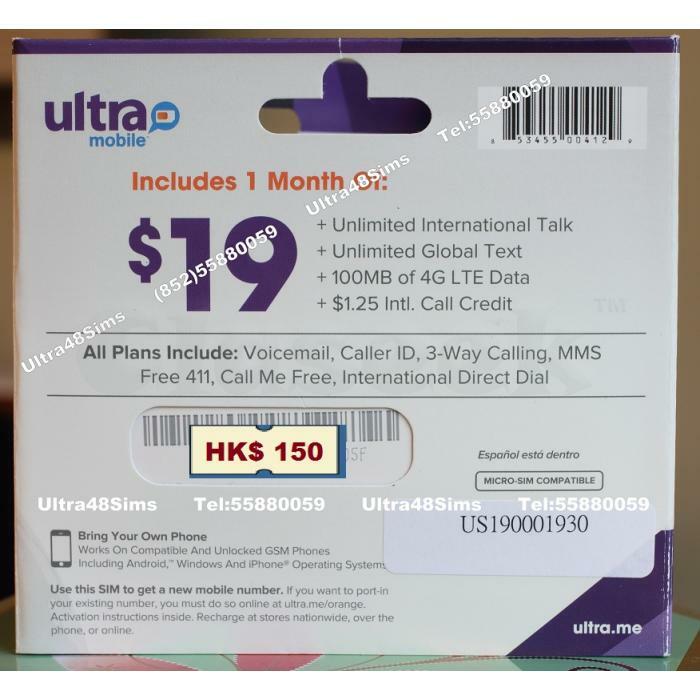 Sep-2016: ONLY (A)$19Plan available for Sale at HK$150. 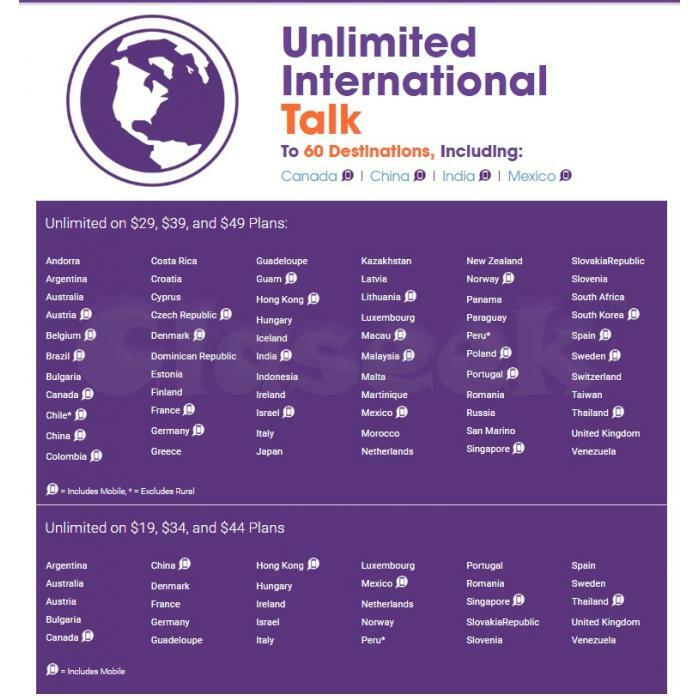 All other plans Sold Out!!! 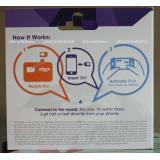 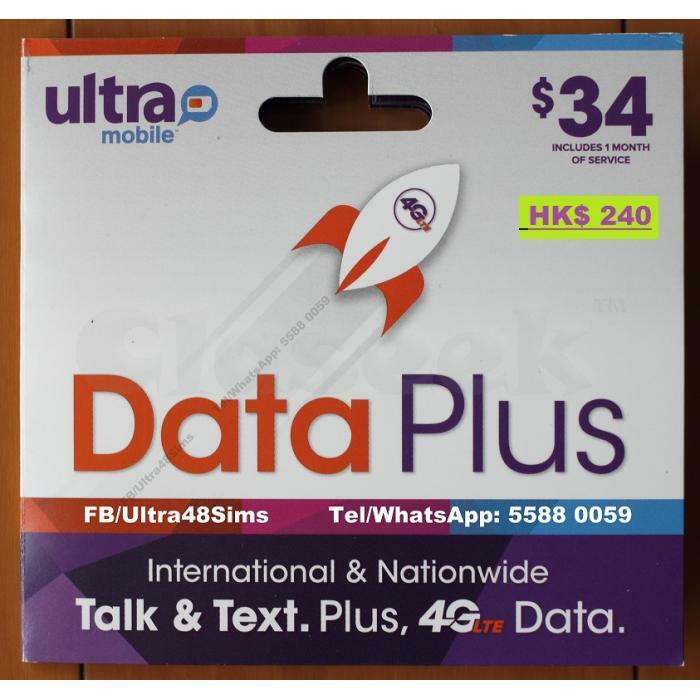 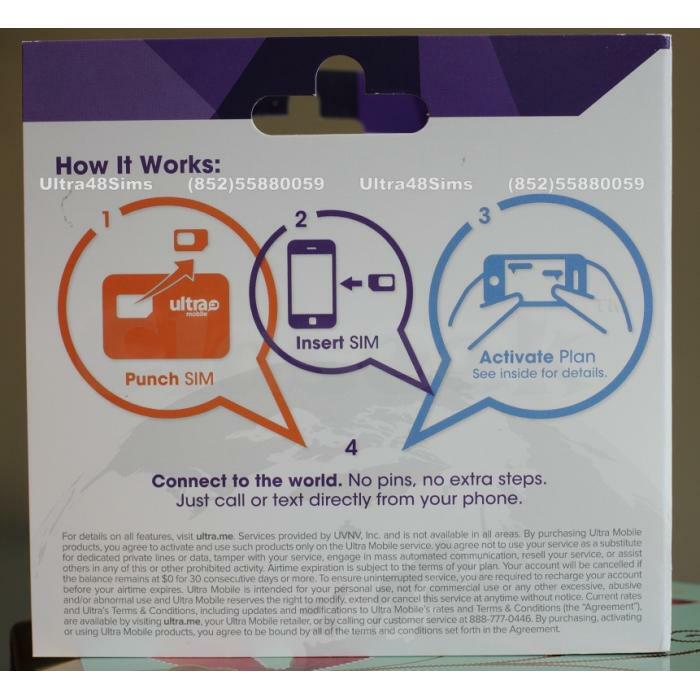 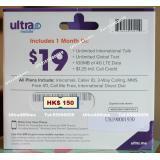 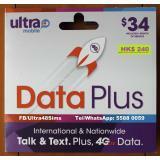 ** All SIM Cards are New/unUsed/unActivated sealed in their original packaging. 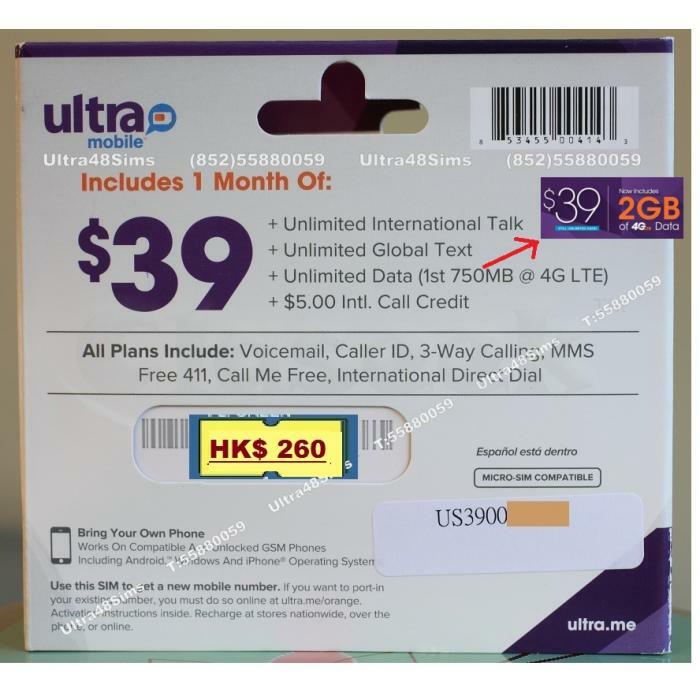 (Expiry=31-Oct-2017). **** Ultra Mobile is 100% MVNO of T- Mobile USA (http://ultra.me/). 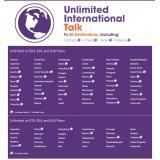 T-Mobile is the 3rd Largest TelCo in USA.